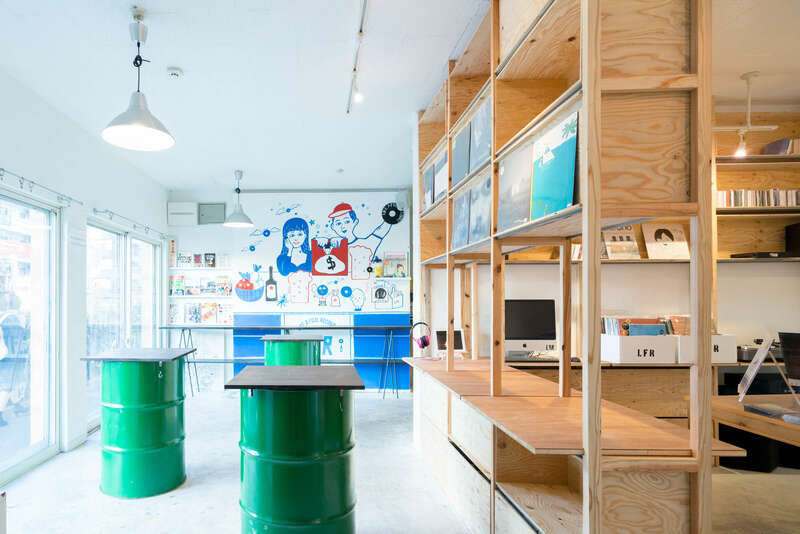 Renovation of a record shop and pub. 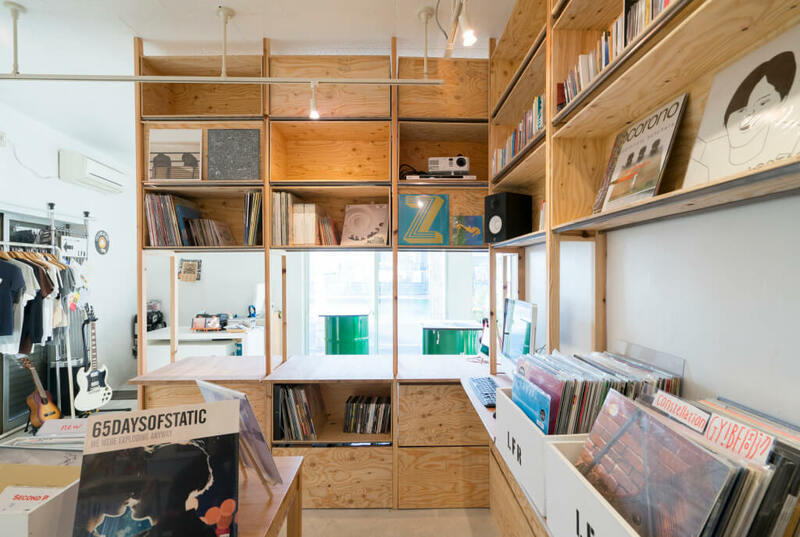 We deal with records as a planning unit and placed an L-shaped box shelf to accommodate them. 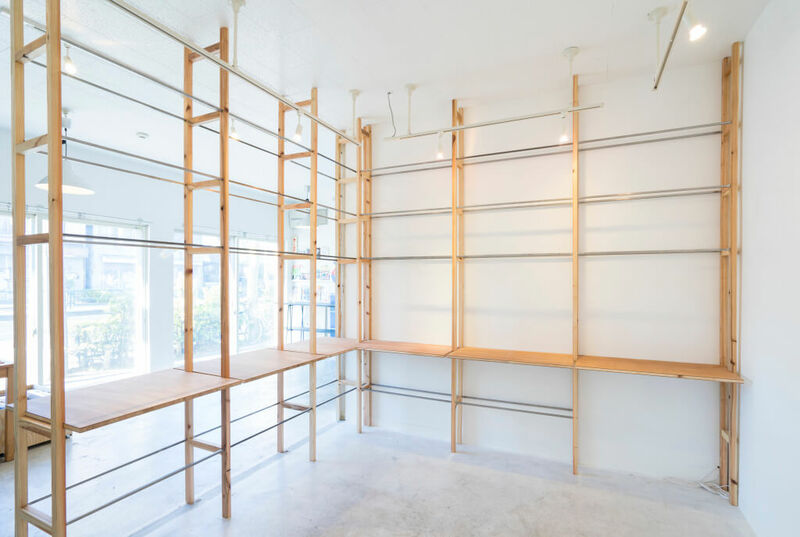 The existing wall was moved and a new shelf and counter was installed. 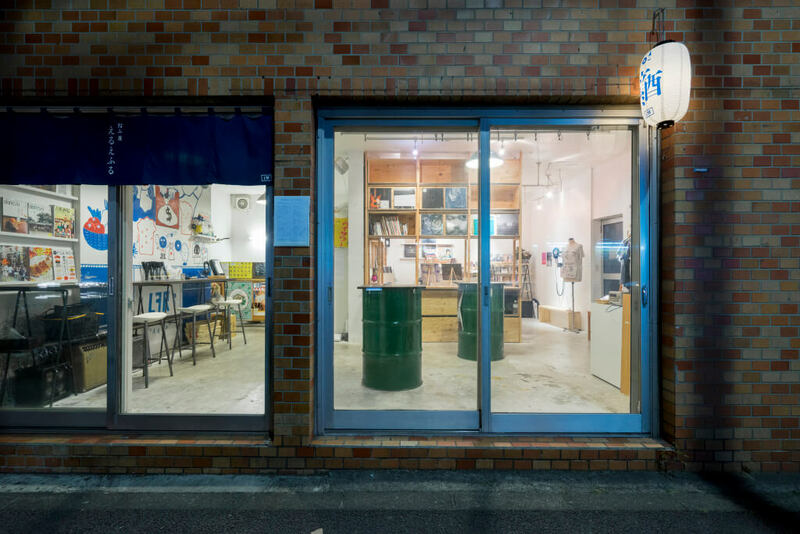 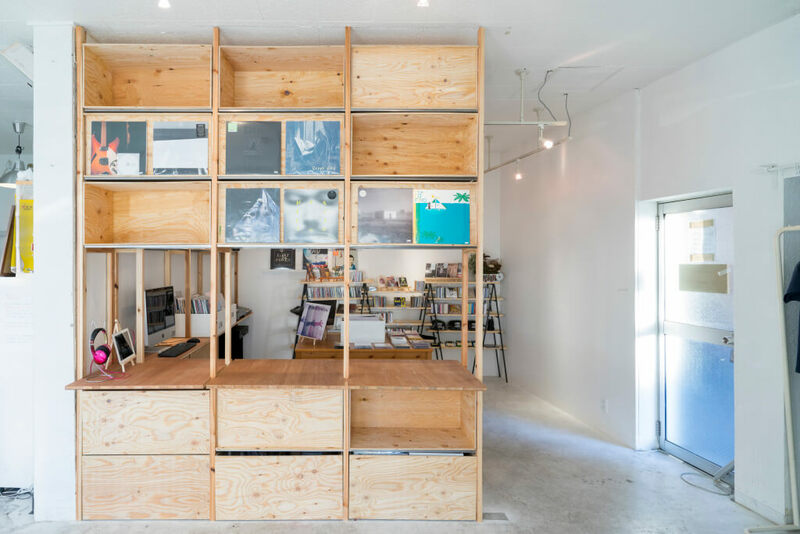 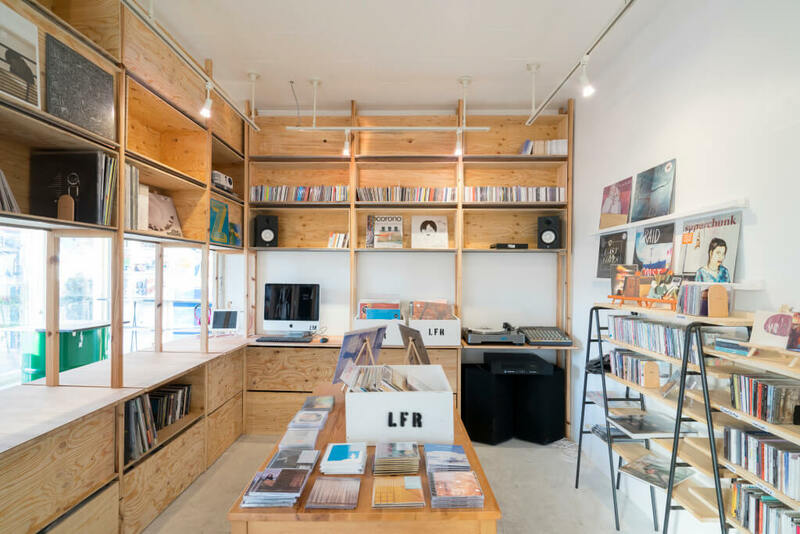 By doing so, the record shop and the pub will connect gradually. 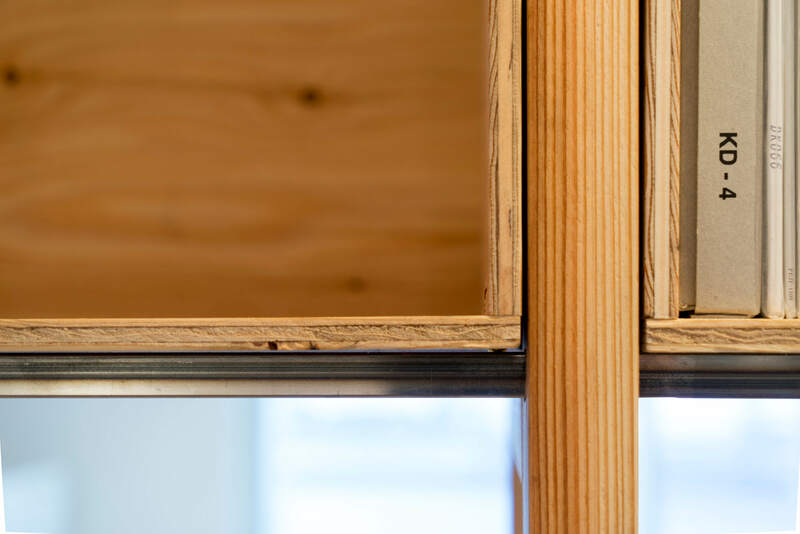 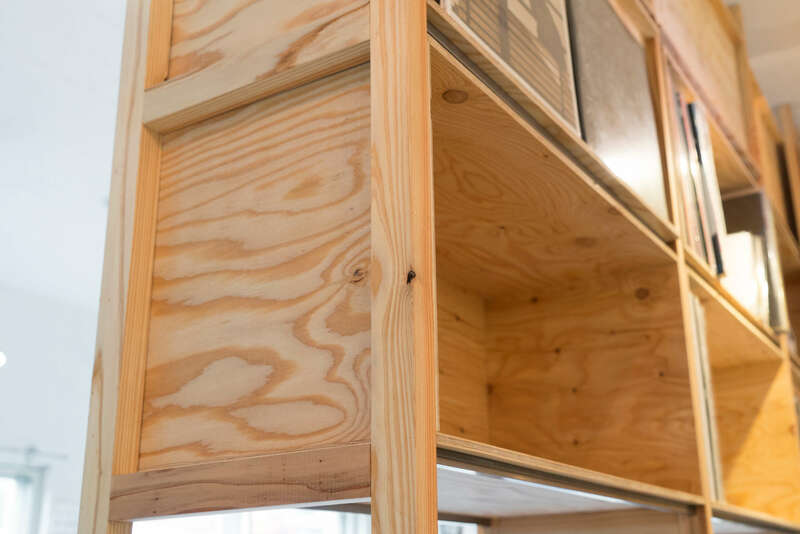 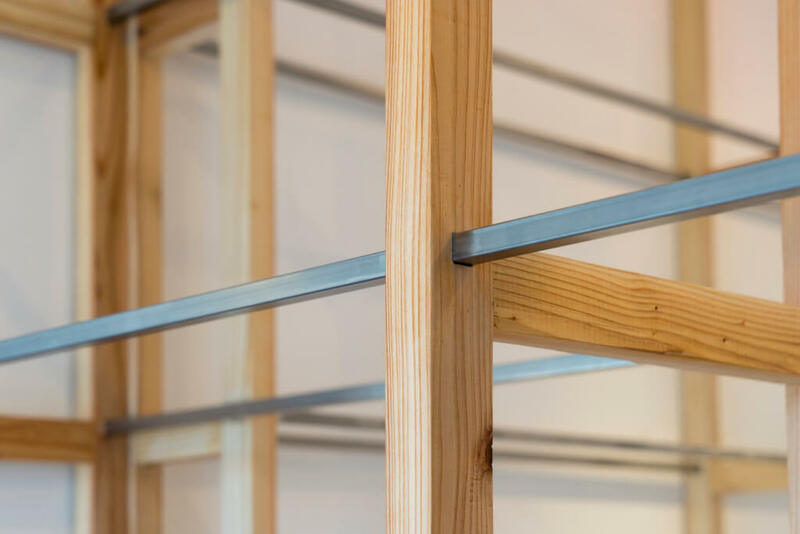 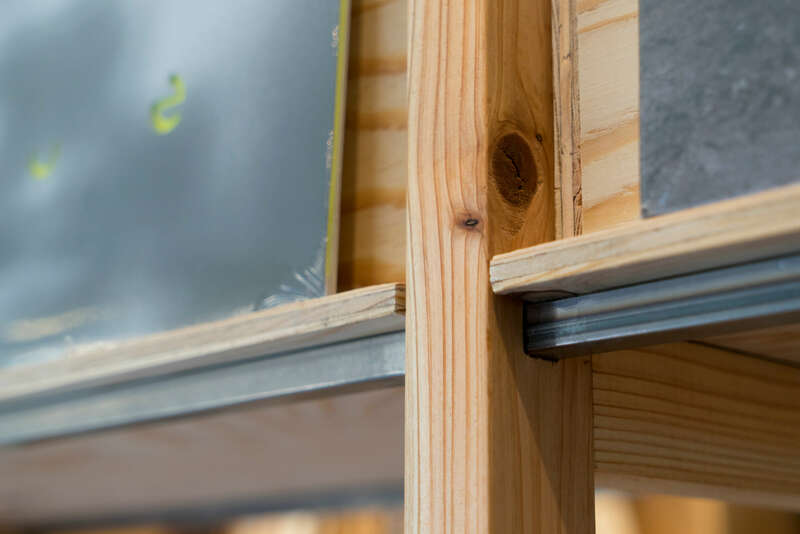 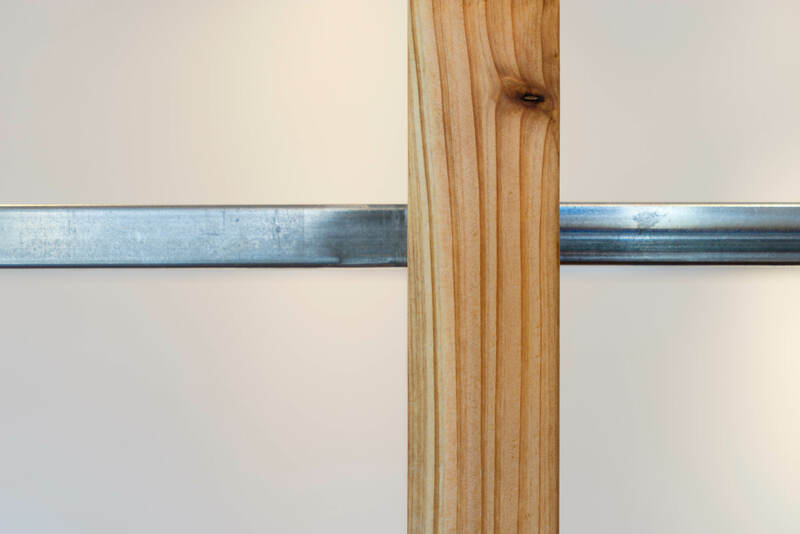 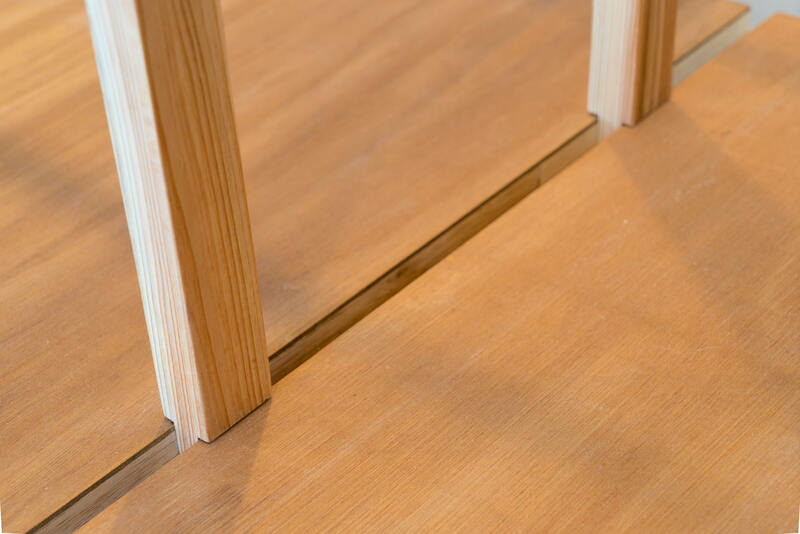 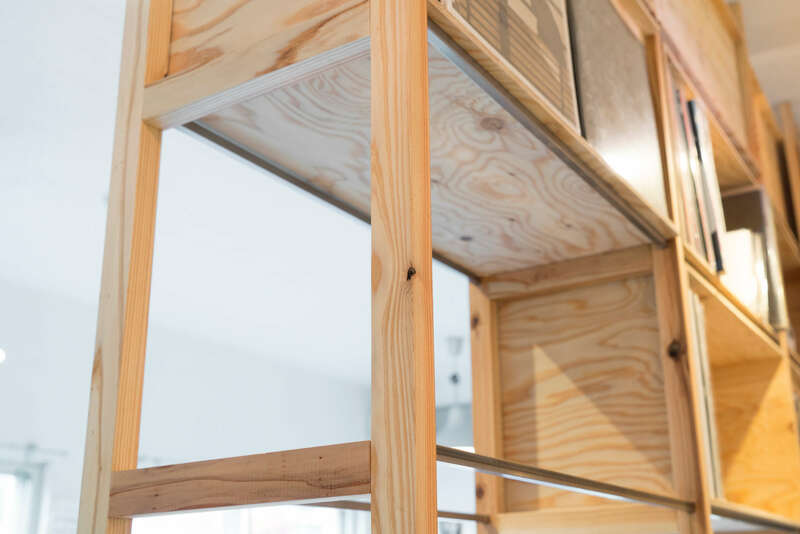 In order to prevent the appearance of shelf, we construct building materials in the vertical line and penetrate the steel square pipes in the horizontal line so as not to be like the lathing. 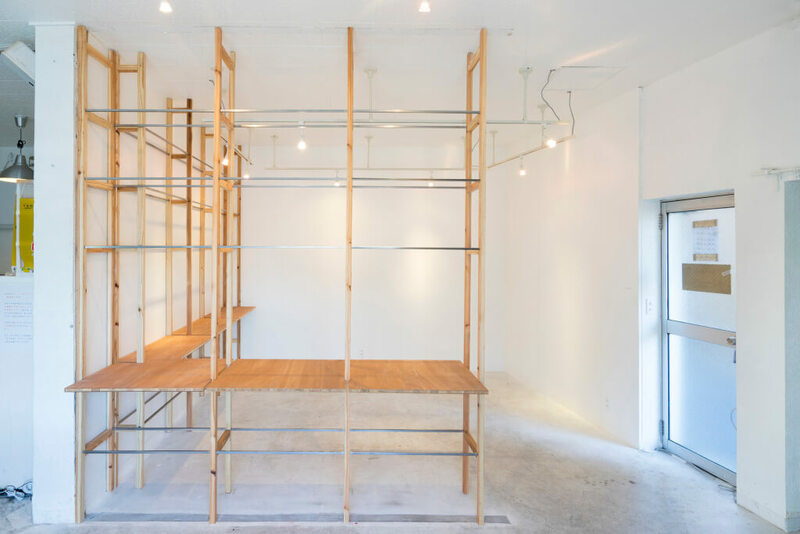 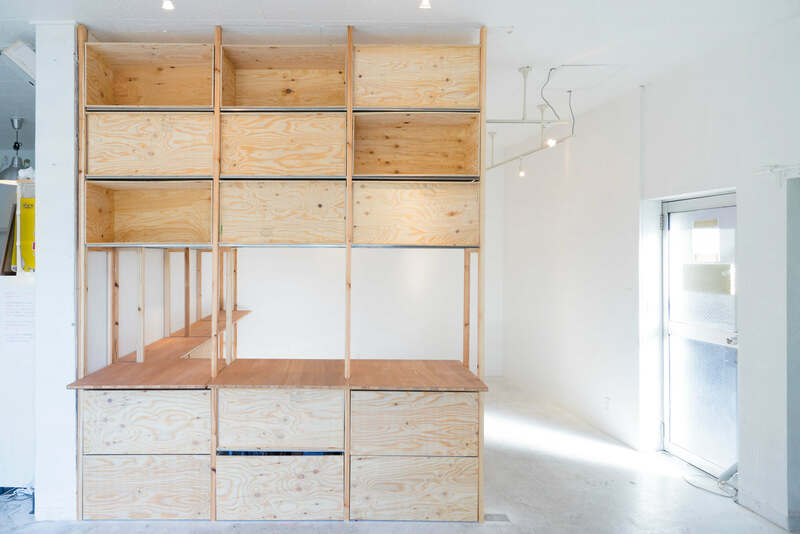 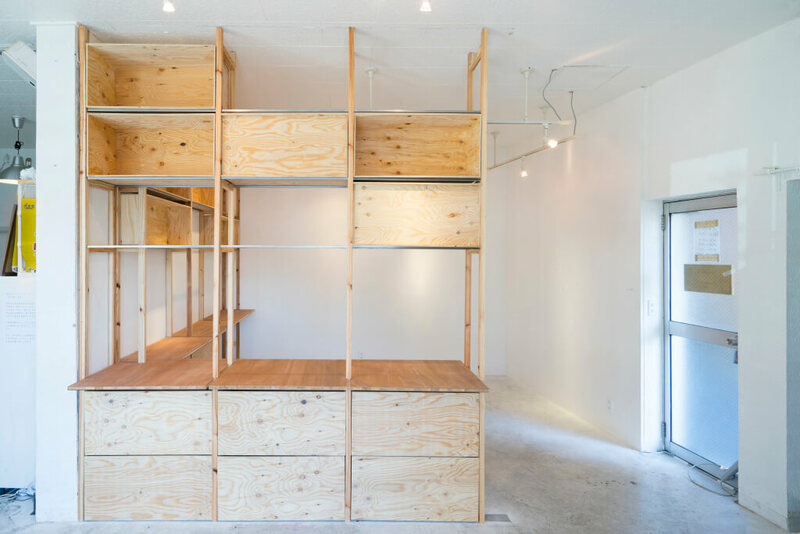 This mixed structure keeps balance of furniture and building. 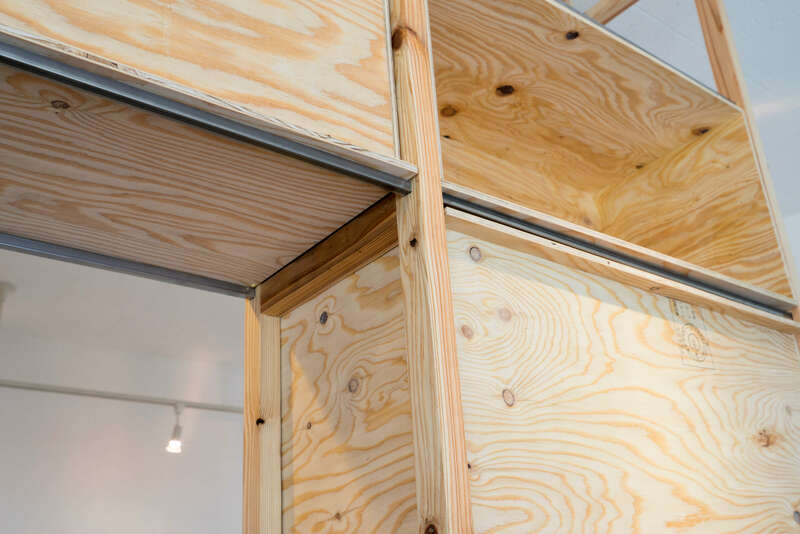 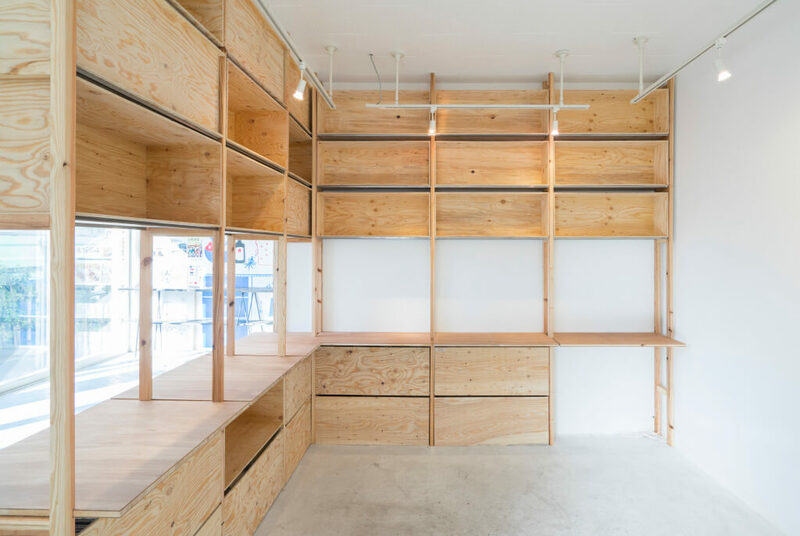 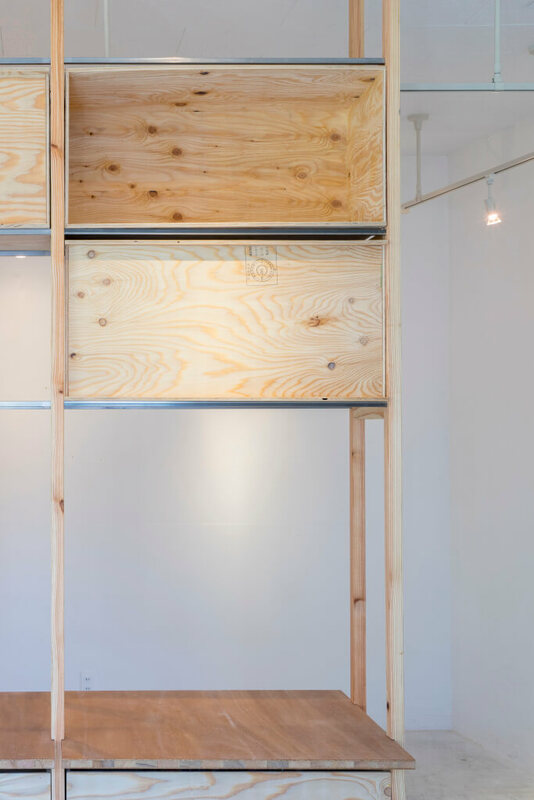 In addition, boxes are removable and has a gimmick that can manipulate the facade of the store according to light and stock conditions. 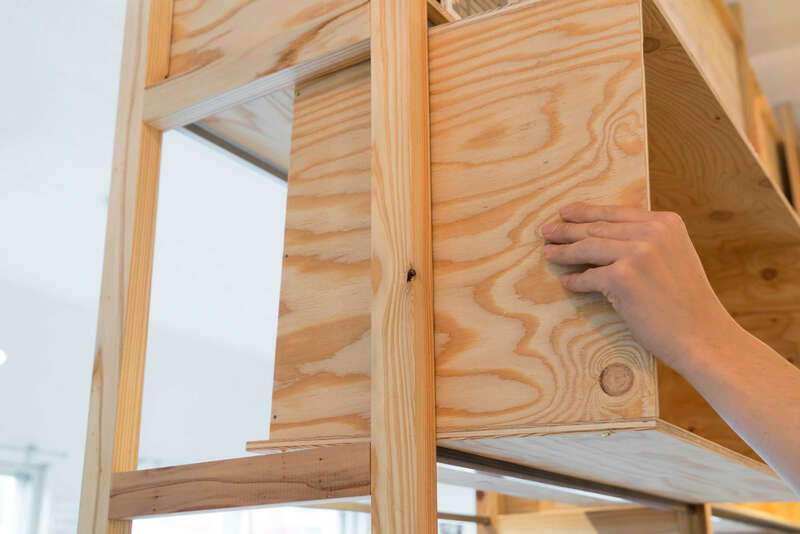 We think that a small project like furniture will be an architectural proposal by contributing to the surroundings and devising a method of construction.